You bought a laptop for business or school, and it runs Excel spreadsheets fine. You’re able to waste about 50% of your productive time screwing around on Facebook, but what you really want to do is pawn some noobs on Battlefield 3 or Starcraft 2; that’s pro time-wasting. But you look over your system specs and you see these dreaded words: “Intel Integrated Graphics”. It’s time to invest in an external video card for laptop gaming. First you need to locate your ExpressCard slot, which on my Toshiba Satellite is right above the CD drive. Next you need something to convert the video card’s signals to something your ExpressCard can understand. For this we recommend a PE4L-EC2C ver 1.5 (PCIe passive adapter to ExpressCard) . We like the Sapphire Radeon HD 5770 1 GB DDR5 2DVI/HDMI/DisplayPort PCI-Express Video Card 100283-3L because its powerful processor will deliver mind-blowing graphics, even if you’re using an old laptop with a 13” screen. It also doesn’t use a lot of power to back up its graphics, which as we’ll see is important for an external video card for laptop gaming. Keep in mind some video cards can experience a performance bottleneck because of your CPU and the speed of your PCIe connection, so make sure whatever PCIe adapter you get is the fastest available. You can’t just let your graphics card run without something protecting it. Something like a ViDock is ideal as it comes with PCIe ports and has a lot of ventilation, but they’re not cheap: the least expensive one on their site is $200. Every ViDock comes with a different wattage power supply; the ViDock 4’s power supply maxes out at 320 watts so something really powerful like the Gigabyte AMD Radeon HD 7870 2 GB GDDR5 DVI-I/HDMI/2x Mini-Displayport PCI-Express 3.0 Graphic Card GV-R787OC-2GD, which requires 500 watts of power, would not run; check the wattage requirement on your video card before you make a big purchase! First, place the graphics card into the ViDock and plug it in. Plug the PCIe converter into the PCIe port on the ViDock. Finally, plug the PCIe converter into your ExpressCard slot. Congratulations: you have amazing graphics even on your rusty old MacBook or ThinkPad! But now for the cons: depending on your laptop’s LCD, you may need to buy an external monitor for the video card: the Asus VS247H-P 24-Inch Full-HD LED-Lit Monitor is a good choice here, offering a 24-inch HD screen for an attractive price. Even if you don’t have to buy an additional monitor, an external graphics card for laptop gaming is a very expensive proposition. A decent graphics card will cost you around $100, the PCIe converter will run you about $77, and the ViDock starts at $199 and goes up to $279. That’s around $400 for a serious setup, and additionally you will not be able to use a very powerful graphics card because most modern cards require 500 or more watts of power to be able to run normally. 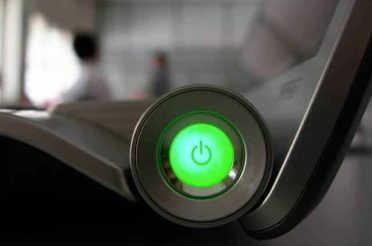 However, there is hope: if you are very technical you can create your own dock to use with your external graphics card for laptop gaming, which will require a lot of techie knowledge but which will definitely cost less than a ViDock. You can find a good DIY guide here, if you have the skills and a spare afternoon to spend. With this option you will of course have to buy an external power supply, but the positive thing here is that the sky’s the limit. Here’s a good, average one that could power up the Radeon 7870: Cooler Master eXtreme Power Plus 500w Power Supply (RS500-PCARD3-US). If you are building your own case, you could even theoretically invest in a 1000 Watt 1000W 140mm Fan ATX Power Supply 12V 2.3 EPS12V 2.92 Quad SLI-ready PCI-Express SATA 20/24 PIN Intel AMD by KENTEK and run two 500-watt graphics cards for maximum power: but that’s definitely not for beginners! With this cyberpunk-chic setup, you will be the envy of all your gaming friends. But all in all, unless you are very attached to your machine and thirsty for a time-consuming tech project, you should just buy or build a gaming desktop – as I have said, they’ll run you as little as $500 for a completely new system. 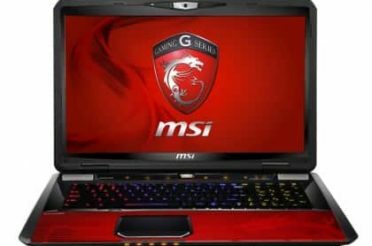 But if you insist on setting up an external graphics card for laptop gaming, the products listed on this guide are a good option.